Last week the National Rifle Association opened a cynical new front in the debate about gun rights in America with its campaign to promote gun ownership to minority and low-income urban communities. 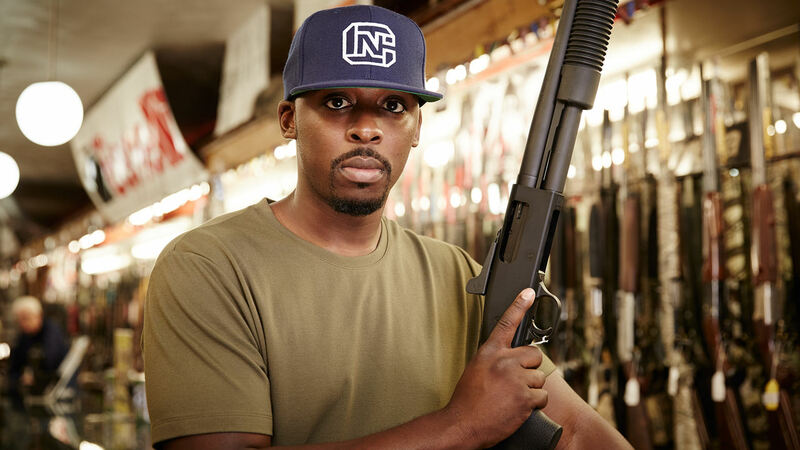 NRANews.com, the Association’s official website, introduced a partnership with Facebook sensation Colion Noir, a young, African-American “urban gun enthusiast” and the first of a promised procession of “diverse commentators” to appear on the NRA site. Noir’s opening soliloquy contained a simple message: African-Americans need arms to protect themselves against the government. Perhaps the “diverse commentators” strategy represents an attempt to shift focus away from the stodgy white octogenarians who have been NRA spokespersons in the aftermath of the Newtown tragedy. But the approach seems particularly disingenuous, even for the NRA. “Urban” America is quite clearly the worst place to introduce more guns. Indeed, guns are already readily available in low-income minority areas, and gun violence disproportionately impacts communities of color. African-Americans make up roughly 13 percent of the U.S. population, but in 2010 they suffered 56 percent of all firearm homicides. Young black men who live in neighborhoods with high gun crime commit more serious acts of violence than teens who have not been exposed. It is far from surprising, then, that African-Americans support gun control far more frequently than do white Americans. A recent PEW survey found that 68 percent of black Americans support gun-control today while only 24 percent support unrestricted gun rights—the percentages were 42 percent and 51 percent for white Americans. In light of this, Noir’s position that African-Americans should embrace a continued proliferation of assault weapons rather than support legislation that could only reduce guns on the street is baffling—particularly as he does so in the name of personal safety. So too, gun proliferation enhances the ever-growing threat of violence posed, not just to to the helpless families and citizens caught in the crossfire, but to the persons who help promote “safety” in high density urban areas, such as aid workers and first responders. Most concerning, the appearance of an armed African-American man on the website of an organization whose “diversity” problems mirror those of the Republican Party is far more complex than it seems. This is because the very image of an armed black man plays to historical currents—indeed, racialized currents in which the NRA is deeply embedded. As the NRA and Mr. Noir should realize, the civil-rights era of the 1950s and 1960s was not just a time of water cannons and police dogs. It was also a time when exaggerated representations of black men with guns mobilized significant responsein mainstream white America. For instance, the FBI famously overstated the threats posed by Malcolm X, Bobby Seale, and Huey Newton, by highlighting these men’s attempts to obtain firearms and “plots” to overthrow the government. The FBI also hung Armed and Dangerous posters throughout the US South warning citizens about NAACP leader Robert F Williams, author of the manifesto Negroes With Guns, who advocated gun rights for African-Americans. To be sure, Malcolm X, Robert Williams, and others had wholly valid concerns about safety. Yet their attempts to obtain arms were used for wider political purposes that were at odds with the ideologies these leaders espoused. Fears about black militancy and urban revolt led to widespread calls for gun control, leading up to passage of the Gun Control Act of 1968—legislation that the NRA supported. Meanwhile, the emerging libertarian wing of the NRA seized upon the instability of the political climate to begin its decades-long campaign to arm America’s white gun owners in the name of self-protection. One might argue that the “diverse commentators” approach represents a more racially-sensitive NRA. More likely, however, is the prospect that the NRA campaign foments longstanding anxieties on both sides of the suddenly inevitable racial divide. For, as we know from history, images of angry black guys with guns—and here, of angry-black-guys with guns on white websites—lead ever-more white guys to buy ever-more guns. Ever-more more white guys with guns then play to justifiable African-American uncertainties and fears. Over time, guns become much more than symbols of self-protection—they become symbols of racial inquietude and mistrust. And we as a society perpetuate a vicious cycle in which instruments of conflict become our only, tragic means for envisioning protection, if not resolution.